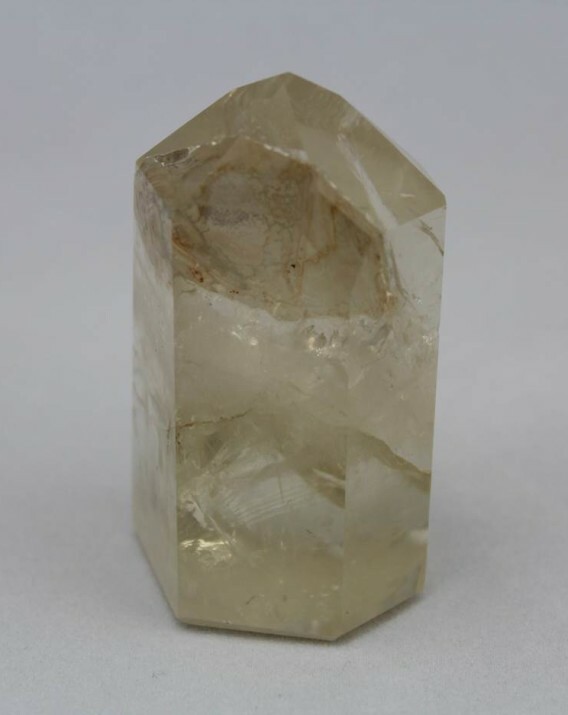 This citrine obelisk is pale yellow in color. A very interesting piece. 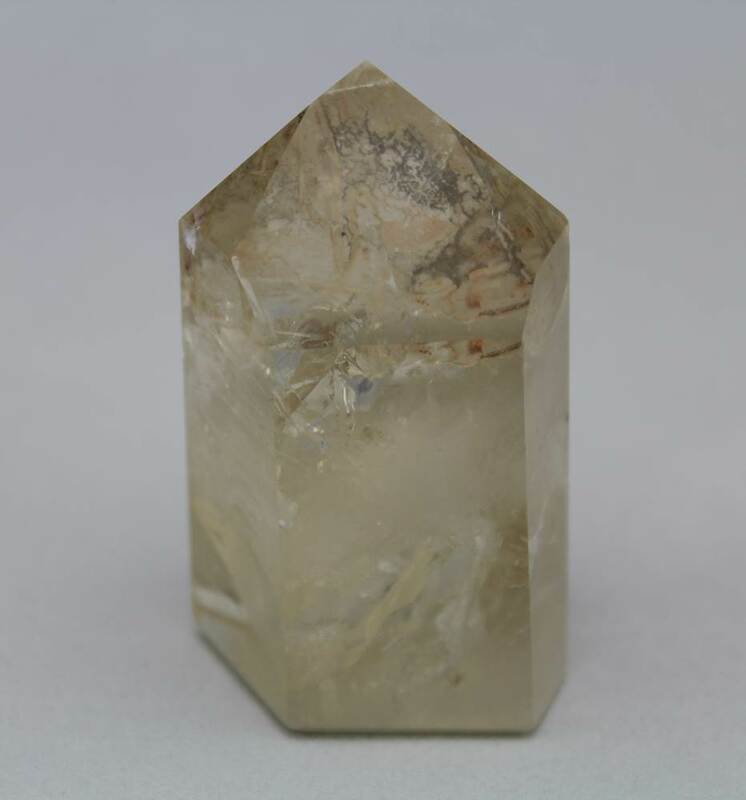 Citrine is the transparent, yellow-to-golden, gem variety of macro crystalline quartz. It crystallizes in the hexagonal system as short prisms, occurs as well-developed crystals on plates and in geodes, and is faceted into gems. 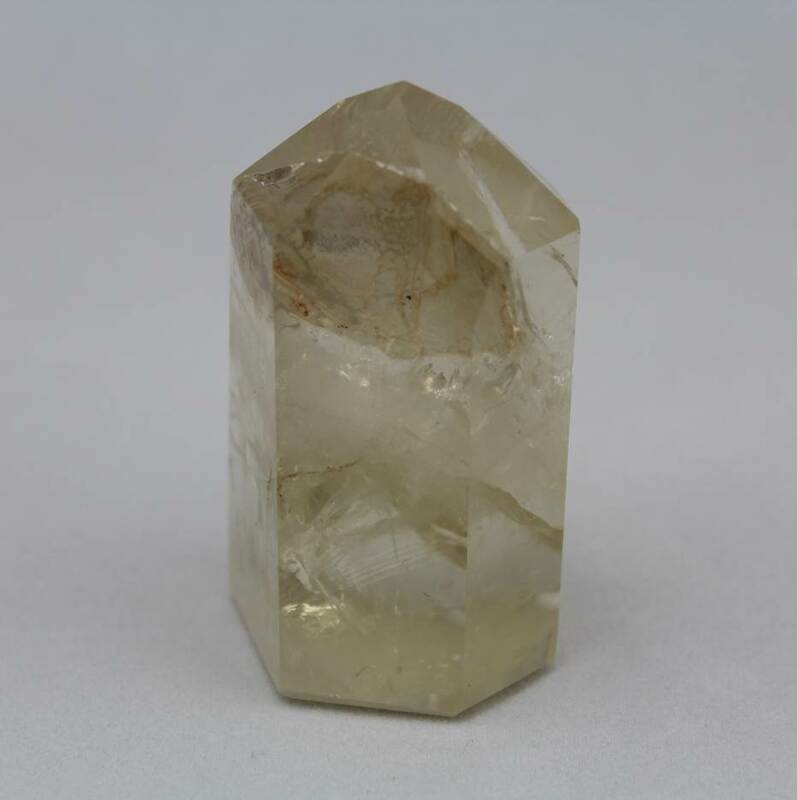 Sunny citrine is part of the quartz family which is comprised of silicon dioxide which is the second most abundant mineral in the Earth’s continental crust. Color ranges from beautiful golden yellow to golden brown. 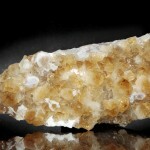 HISTORY, NAME, LOCALITIES: Citrine is the yellow-to-golden, gem variety of quartz. Its name stems from the French citron, or “lemon,” alluding to its color. Gem quality citrine is rare. Notable localities are found in Brazil, Norway, Canada, Spain, Madagascar, Russia, and the United States (Maine, New Hampshire, North Carolina, California). 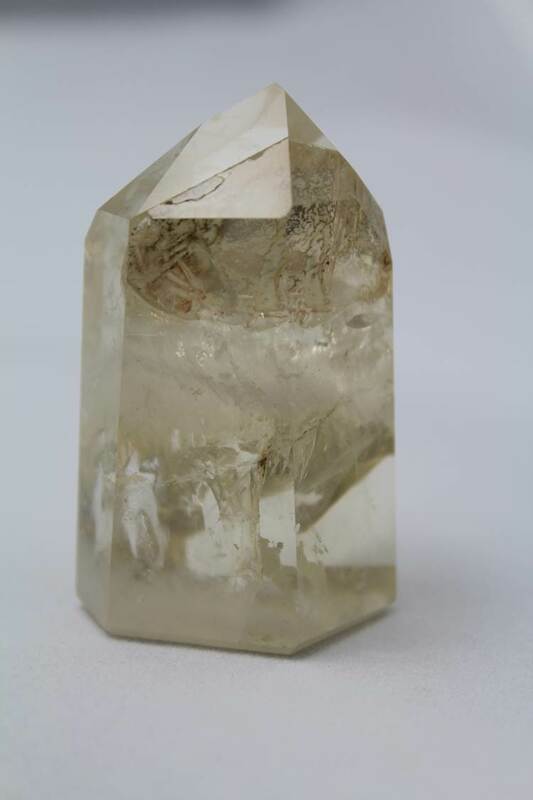 MINERALOGY, PROPERTIES, OCCURRENCE: The physical properties of citrine are the same as those of quartz [silicon dioxide, SiO2], with the exception of its diagnostic yellow-to-golden color, which many mineralogists believe is caused by traces of iron. Citrine crystallizes in the hexagonal system and occurs mainly in hydrothermal veins, granite pegmatites, and as geode linings as short-to-long, horizontally striated, hexagonal, prismatic crystals with pyramidal terminations and excellent transparency. It has a Mohs hardness of 7.0, a conchoidal fracture, vitreous luster, and specific gravity of 2.65. 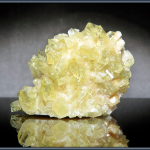 METAPHYSICAL PROPERTIES, LORE, USES: In ancient times, citrine was thought to protect against snake bites and evil thoughts. 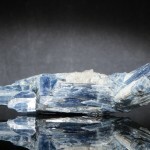 It has long been considered a “success” stone that assures success and abundance, especially in business and commerce. Modern metaphysical practitioners believe that citrine replaces negative energy with positive energy, promotes general healing, helps one to adjust to life changes, and promotes feelings of confidence and security. 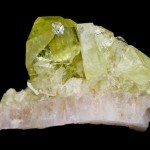 Citrine is a popular gemstone and is faceted into gems.